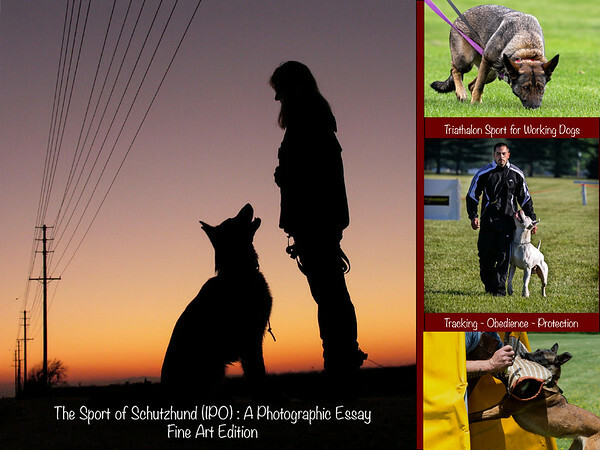 The Sport of Schutzhund (IPO): A Photographic Essay - Fine Art Edition features the best in the art of Schutzhund (IPO) photography. More than 15 professional and accomplished amateur photographers contributed their high quality photographs, which show all aspects of the sport: puppies; training and trialing; dogs being dogs; and the many faces of IPO dogs. If you wish to have a copy of this unique e-book, please contact me for information on how to purchase. Net proceeds will be donated back to the sport!